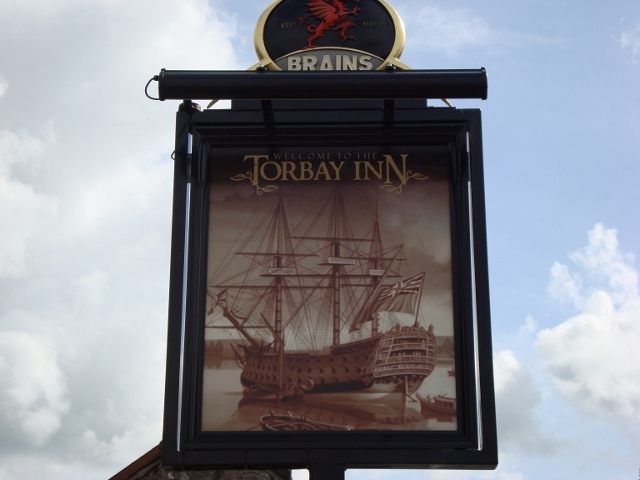 The second category consists of pubs with genuine roots in naval history. 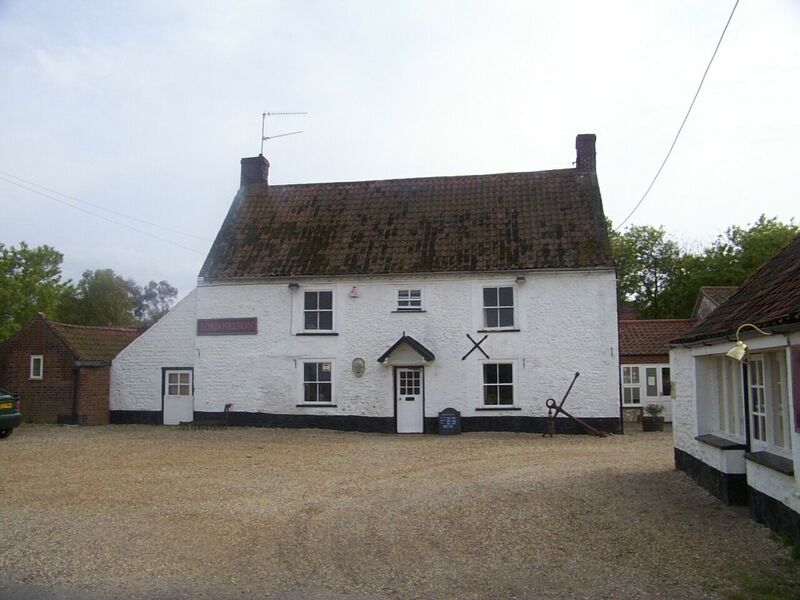 Perhaps the classic example of this genre would be the Lord Nelson at Burnham Thorpe in Norfolk: the pub where Nelson himself drank (indeed, it now markets itself as ‘Nelson’s local’), in his own home village, and the first one in Britain to be renamed after him following his death. But there are plenty of other pubs with Nelson connections, such as the Royal Hotel in Deal, where he stayed with Emma Hamilton, and the Lord Nelson at Milford Haven, where in 1802 he delivered a speech extolling the virtues of the great Welsh natural harbour. Another great pub steeped in naval history is the Trafalgar Tavern in Greenwich, right next to the Old Royal Naval College (or as it’s better known these days, ‘that place that turns up in pretty much every blockbuster movie’). But since the navy moved out of the college, the pub seems to have become a bit neglectful of its naval heritage; and perhaps the surest sign of its decline is that on one recent occasion when I went in there, another of the customers was Graham Norton. My third and final category would be pubs with naval names. In the dockyard towns, there’s a considerable overlap with the first category; in Portsmouth until quite recently, for instance, Jack Tar could stagger from the Ship Anson to the Ship Leopard to the Keppel’s Head to the Victory, and then round the corner to the Royal George and the Invincible, all of which were within roughly a 300 yard radius of each other, immediately outside the dockyard gate. There used to be quite a few more in the same vicinity, and the principal street name, The Hard, inadvertently gave a pretty good pointer toward the sort of behaviour to be expected in the area on a Saturday night. But the naval name used to be a common feature of towns throughout the country. My own home town, Llanelli, was a port, but it had hardly any direct connections with the navy. Even so, at one time it had a Britannia Hotel, a Lord Nelson, a British Tar, a Trafalgar Inn and a Neptune Inn, as well as many more pubs with ‘maritime’ names, like the Ship, the Sailors Home, the Steam Packet, the Sloop Aground and The Three Mariners. 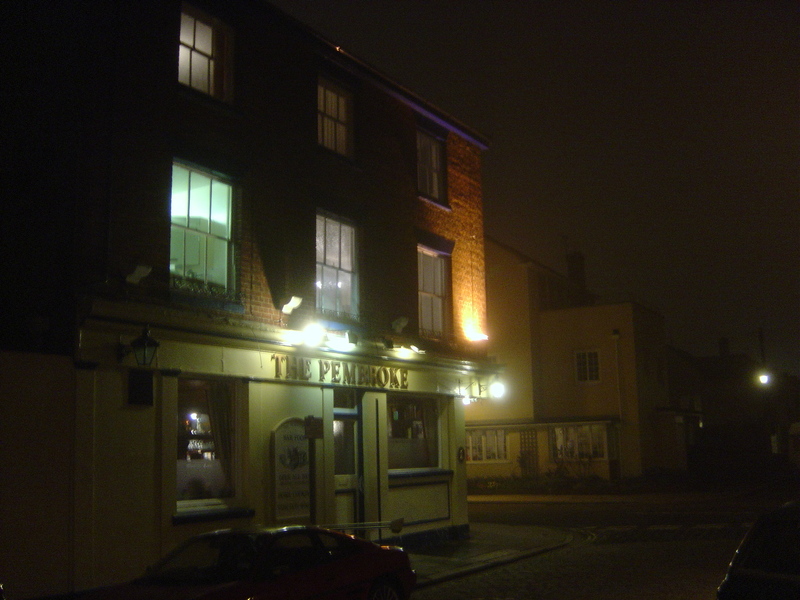 Pubs called the Lord Nelson were everywhere; until relatively recently, there was even one in Stourport-in-Severn, far inland, which is where my Worcestershire ancestors hailed from. But one of my favourite examples of the naval name popping up in unexpected places is the Torbay at Ffairfach in Carmarthenshire. Ffairfach is a suburb of Llandeilo and is a long way inland, but its pub seems to have been named after an eighteenth century Torbay – perhaps an early landlord had served on her? – and to this day, the pub sign is a remarkably creditable painting of the ship. The problems with the pubs bearing naval names are that, firstly, there are far fewer of them than there were, and with each one that closes, an entire point of contact between a community and Britain’s naval history disappears. But even in those that survive, the naval connection is often downplayed or ignored entirely: pictures of old ships do not necessarily sit well with wannabe Jamie Olivers trying to create rural gastropub heaven (or, in the humble opinion of the present blogger, hell). Worse, I know pubs where good old solid British oak beams and bars have been painted white ‘to give a friendlier/warmer/more feminine feel’ (most disastrously at my village local, although that doesn’t have a naval name or connection). A case in point was the Old Custom House in Portsmouth, one of the few old buildings to survive within the ghastly Gunwharf Quays complex that was erected on the site of the old HMS Vernon training establishment. When the pub first opened, in 2001, it had a large number of pictures and other memorabilia of Vernon, but most of that was discarded at the first refurbishment only a few years later. On the other hand, a few ‘pubcos’ have a rather better record, notably the much-maligned Wetherspoons, which does at least provide display boards and photographs which explain the heritage behind a pub’s name. For instance, they’ve named a pub in Newport the John Wallace Linton after the locally-born submariner and VC winner, while one of their outlets in Potters Bar rejoices in the name of the Admiral Byng (who lived at nearby Wrotham Park), although I’ve yet to investigate the amount of information about the ill-fated admiral on display within. But these are just a few isolated examples, and I’d suggest that they in no way compensate for the vast amount of naval pub heritage that we’ve lost. As I suggested above, every closure, every stripping out of ships’ badges or pictures that no longer fit with the desired ‘corporate image’, reduces the visibility of the navy and of naval history in public perception. There are many other causes of the ‘sea blindness’ that many believe to be afflicting modern Britain, but this is surely one of them. I’m delighted to announce that this site is about to host a very important guest post. Frank Fox, who recently provided us with new information about the fleets at the Battle of Beachy Head (1690), along with the equally renowned Restoration naval historians Peter Le Fevre and Richard Endsor, will be proposing a new identification of the ‘Normans Bay wreck’, one of the most important warship wrecks of the seventeenth century in British waters, the identity of which has long eluded naval historians and nautical archaeologists alike. We still have a few i’s to dot and t’s to cross, but all being well, this post will be available on this site next week. First of all thank you for this highly entertaining and informative post and apologies for taking so long to reply. My research colleague Heather and I visited Teignmouth recently to see Pellew’s final home at Westcliff / Bitton House and the town still has a fine selection of nautical pubs, though I can’t confirm whether any of them are strictly naval. Also there is a relatively new Wetherspoons pub on George Square in Glasgow called Camperdown Place which is filled with “memorabilia” related to Admiral Duncan. Duncan struck me as a rather odd person to commemorate in Glasgow as he has no real connection with the city, though several ships named after him have been launched from various Clyde shipyards over the years, and the pub sign bears an image of the Camperdown emigration ship build by Stephens of Glasgow in 1874. I’ve always thought a far more appropriate naval personage to name the pub after would have been HMS Indefatigable’s second most famous captain Admiral Sir Graham Moore. Moore was a local Glasgow boy and there is a statue of his brother John standing just a few yards away from Camperdown Place on the other side of George Square! Thanks Lorna! As you say, Duncan in Glasgow is definitely odd, but then, as far as I know there isn’t a Duncan pub in his home city of Dundee, which is a pity. Meanwhile, the quest continues – e.g. I hope to check out the Admiral Benbow in Penzance when I’m down there in July.